If you are thinking seriously about investing in property in the country of Belize, you might want to learn all about the impressive health care system in place, the banking regulations for residents, and the attractions and beaches that draw in so many visitors each year. You should also spend some time learning about Belize history, which plays such a big role in how life is currently lived in the nation. Getting a crash course of the country's past can help you see yourself living on the island of Ambergris Caye or perhaps in the bustling urban center of Belize City. The history of Belize begins roughly three millennia ago as the Mayan civilization expanded throughout the Yucatan Peninsula, which is located today within the borders of Mexico, Belize and Guatemala. Between 1500 B.C. and 900 B.C., the area we now know as Belize was flourishing, and settlements called Lamanai and Caracol were incredible centers of culture, commerce and transport for the Mayans. Lamanai remains one of the biggest tourism attractions to this day thanks to Mayan ruins that are still accessible to visitors. In 1000 B.C., there may have been as many as a million people who lived within the modern-day borders of Belize. By the 16th century, Belize was roughly divided into three territories: Chetumal, Dzuluinicob and Manche Ch'ol. While Spanish conquistadors did briefly explore Belize in this time period, they opted not to settle for more than 100 years. Only near the end of the 17th century did British settlers, known as Baymen, begin logging and living in the area. The first big military engagement between the indigenous people and the European settlers was in 1798 with the Battle of St. George's Caye, a coastal fight that resulted in a British victory. A colonial economy was formed, which ultimately collapsed during the Great Depression of the 1930s. 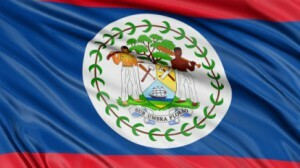 For most of the 20th century, Belize was known as British Honduras. The official name change only took place in 1973, and formal independence for the nation came a few years later in 1981. Although Ambergris Caye is an island that is separated from the mainland of Belize, its history is similar in many ways. Ambergris Caye was also inhabited by Mayans, who created red ceramics to trade. It wasn't until the formation of a permanent settlement in 1849, known as San Pedro Town, that the island began to see a significant population growth. Today, the island is best known for its thriving tourism industry, beautiful beaches and incredible weather year-round. Understanding Belize history is one of the first steps in appreciating the incredible country and all it has to offer. It can also provide insight into the local population and their culture. To learn more about Belize and Ambergris Caye, click here for additional information.